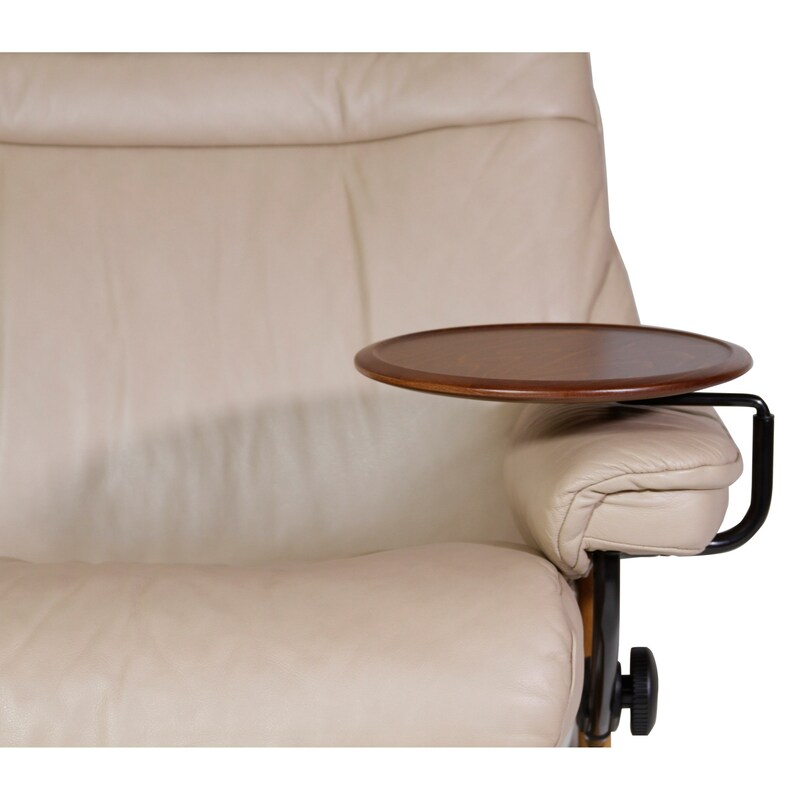 The Stressless® Swing table is a practical innovative accessory that heightens your state of comfort. This small, versatile round table is great for keeping your remote, cup, book or whatever else you keep handy. Make your recliner complete with this accessory table. Furthermore, choose between eight different wood finishes to create the look you love most. The Tables Swing Table by Stressless by Ekornes at HomeWorld Furniture in the Hawaii, Oahu, Hilo, Kona, Maui area. Product availability may vary. Contact us for the most current availability on this product.